UNIVERSITY PARK — A total of 40 Penn State football alumni — the most since 2012 — are populating the training camp rosters of 25 NFL teams. The Nittany Lions annually are among the top 20 programs nationally in producing players in the NFL. In addition, five former Nittany Lions are members of NFL coaching staffs and two former non-football student-athletes are on rosters. The last time Penn State had 40 or more alums on NFL rosters was in 2012 when 41 entered NFL training camps. A fifth of the former Nittany Lions are on the Pittsburgh Steelers and Miami Dolphins, which boast a league-high four Penn Staters each. The Dolphins feature the returning trio of 10th-year defensive end Cameron Wake, linebacker Mike Hull and cornerback Jordan Lucas, as well as rookie tight end Mike Gesicki, who selected with the 42nd overall pick of the 2018 Draft. The Steelers also feature a former Penn State tight end with fourth-year vet Jesse James, who is joined in Latrobe this summer by safety Malik Golden and rookies Marcus Allen (safety) and Parker Cothren (defensive tackle). 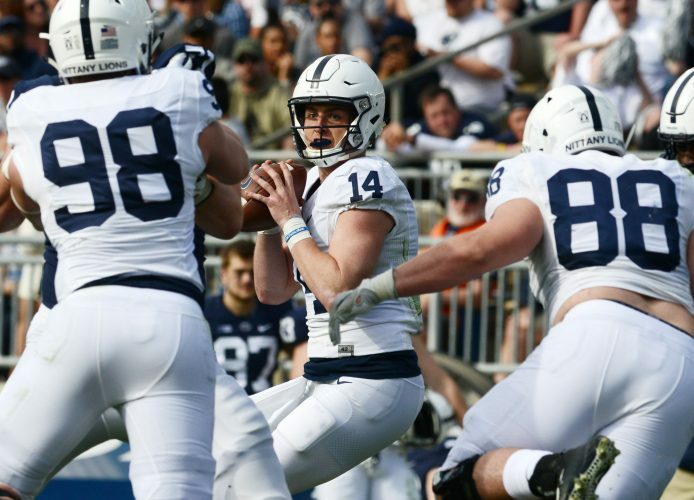 The New York Giants have three Penn Staters — all rookies — on their camp roster, as No. 2 overall draft pick Saquon Barkley (running back) will be joined by undrafted free agents Grant Haley (cornerback) and Tyrell Chavis (defensive tackle). A total of 14 players from Penn State’s 2017 Fiesta Bowl-winning squad are vying to make NFL teams. In addition to Allen, Barkley, Chavis, Cothran, Gesicki, Haley, Christian Campbell (Arizona Cardinals), Tyler Davis (Buffalo Bills), Brendan Mahon (Carolina Panthers), DaeSean Hamilton (Denver Broncos), Curtis Cothran (Minnesota Vikings), Saeed Blacknall and Jason Cabinda (Oakland Raiders), and Troy Apke (Washington Redskins) are in training camps. Six teams — Chicago Bears, Los Angeles Rams, Oakland Raiders, San Francisco 49ers, Tampa Bay Buccaneers and Tennessee Titans — each have two PSU alums. Fourth-year safety Adrian Amos enters Bears camp following a breakout campaign in 2017 and is now joined by former Jaguars wide receiver Allen Robinson, who is coming off an ACL injury suffered in last season’s opening week. Fourteen-year veteran and San Francisco All-Pro placekicker Robbie Gould is Penn State’s elder statesman in the NFL. In the NFC East, Pro Bowl linebacker Sean Lee returns for his ninth season with the Dallas Cowboys, while sixth-year offensive lineman Stefen Wisniewski is looking to help the Philadelphia Eagles defend their Super Bowl title. Former Penn State men’s lacrosse player Chris Hogan also appeared in the most recent Super Bowl and is returning to the Patriots for his sixth season in the NFL. Additionally, former men’s basketball player Ross Travis is with the Indianapolis Colts for his third NFL season. 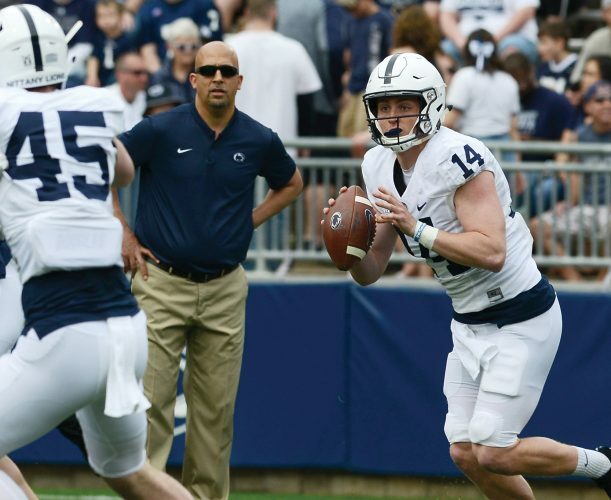 Additionally, six former Nittany Lions are members of NFL coaching staffs: Tom Bradley (Pittsburgh, defensive backs); Gary Brown (Dallas, running backs); Bobby Engram (Baltimore, wide receivers); Al Golden (Detroit, linebackers); D’Anton Lynn (Houston, assistant defensive backs) and Pro Football Hall of Famer Mike Munchak (Pittsburgh, offensive line).